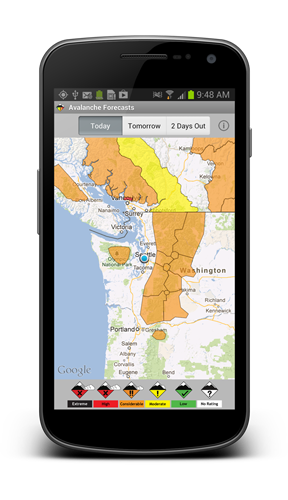 The easiest way to see avalanche conditions at-a-glance. Free. For iOS and Android. 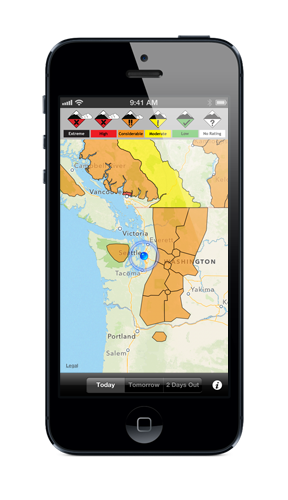 View the conditions map, then tap a region to see the detailed avalanche forecast. Caches data you've seen for when you go offline in the mountains. Covers 100+ regions (from every North American avalanche center), thanks to our forecasting partners.